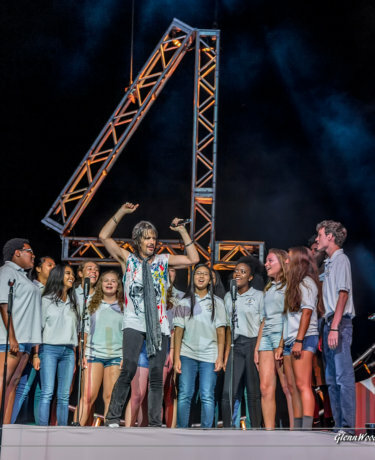 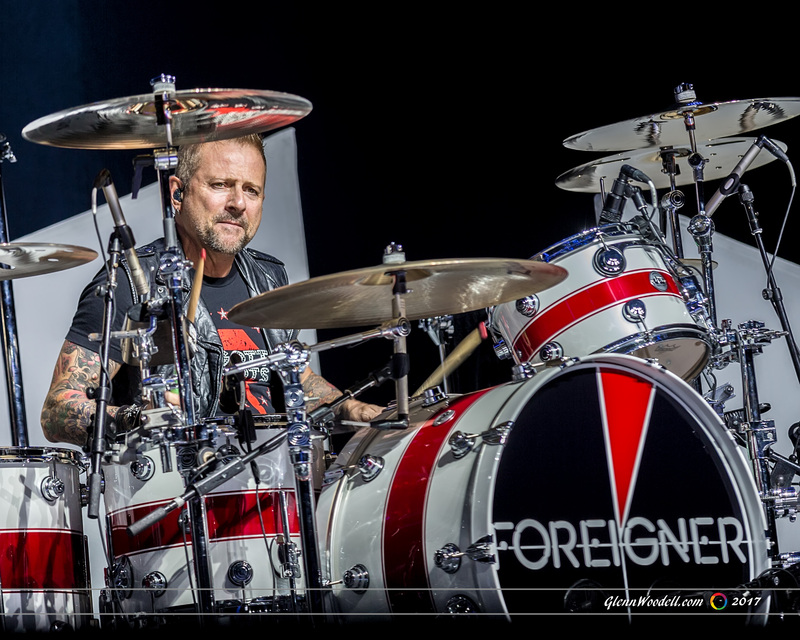 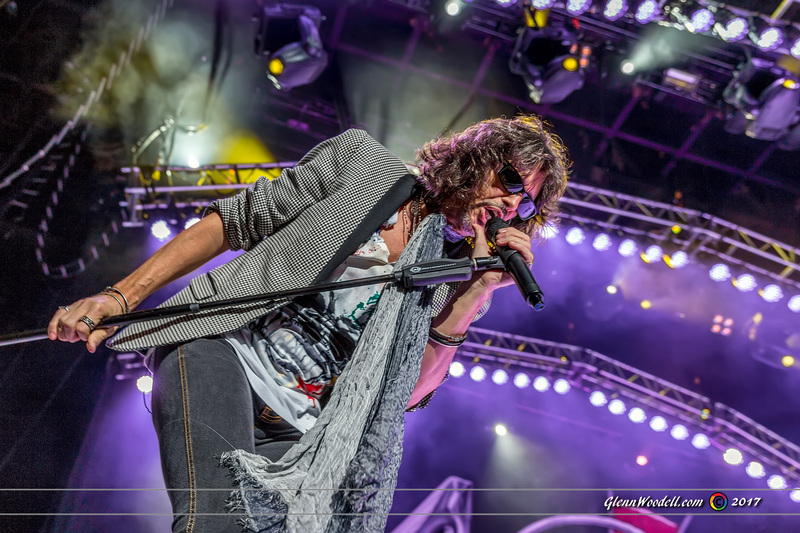 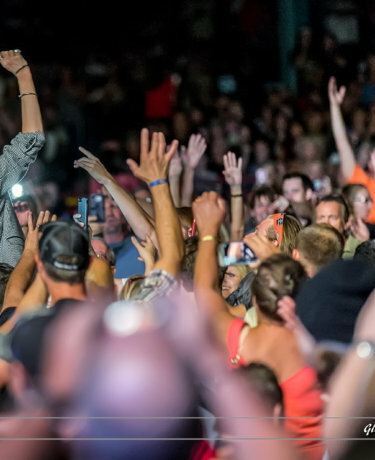 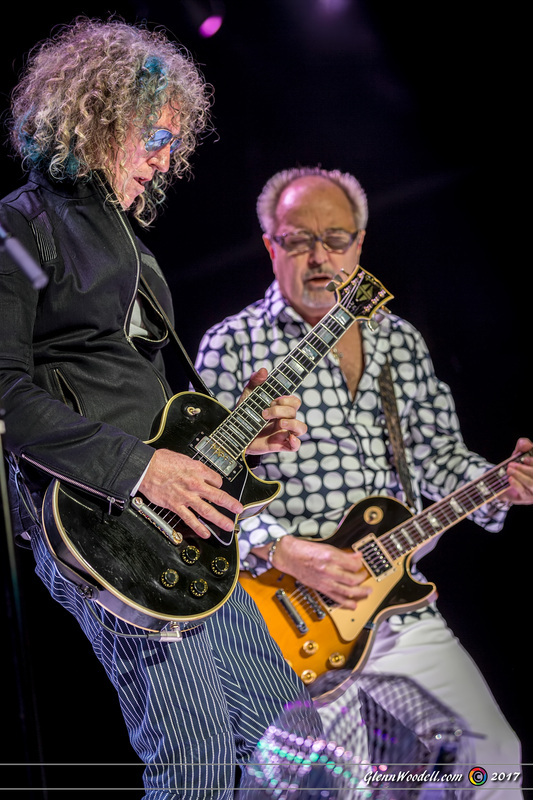 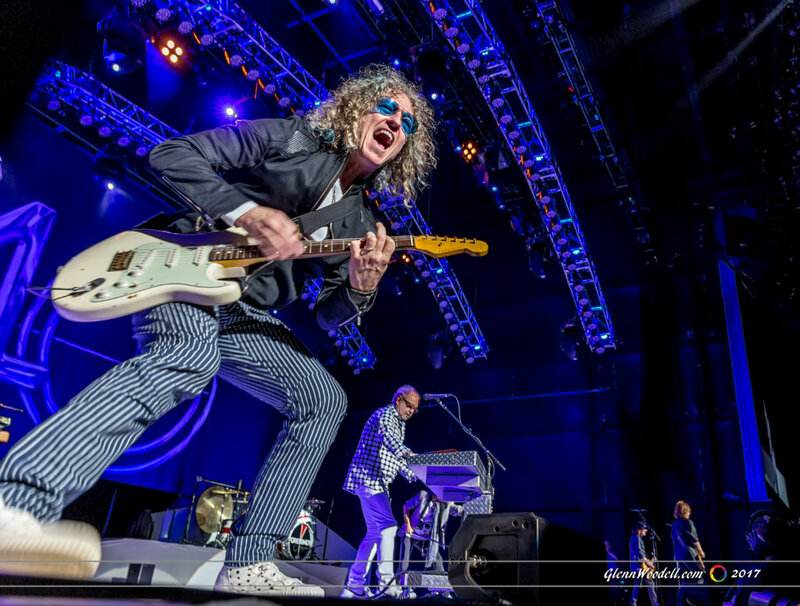 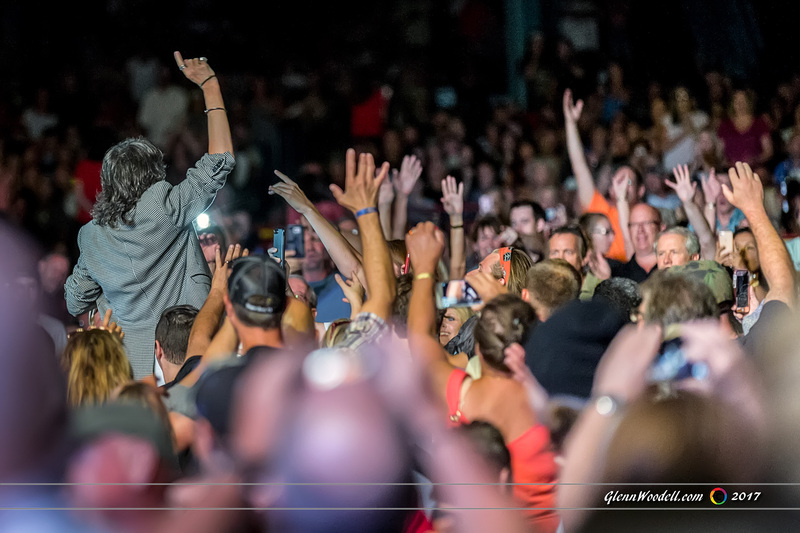 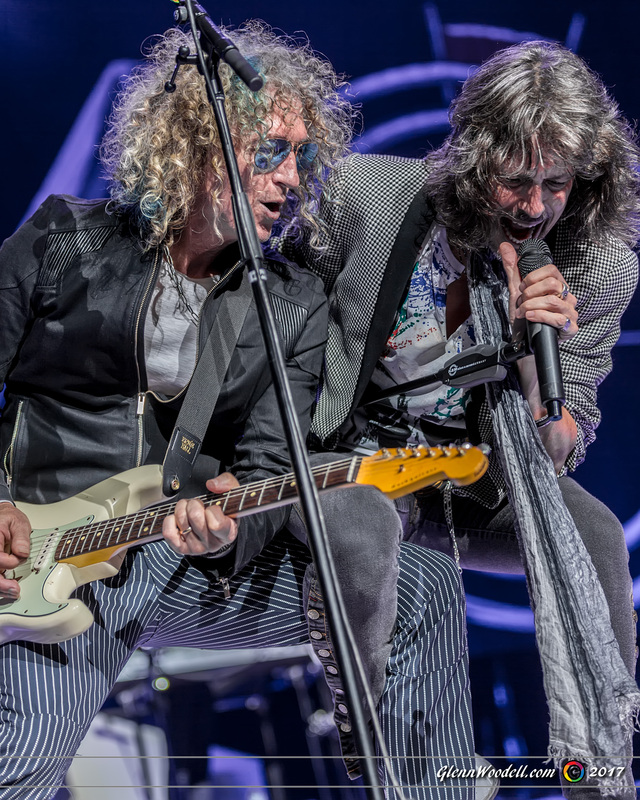 VA BEACH, VA: Foreigner showed us exactly why they are one of the world’s best selling bands of all time, on a cool summer’s night in Virginia Beach. 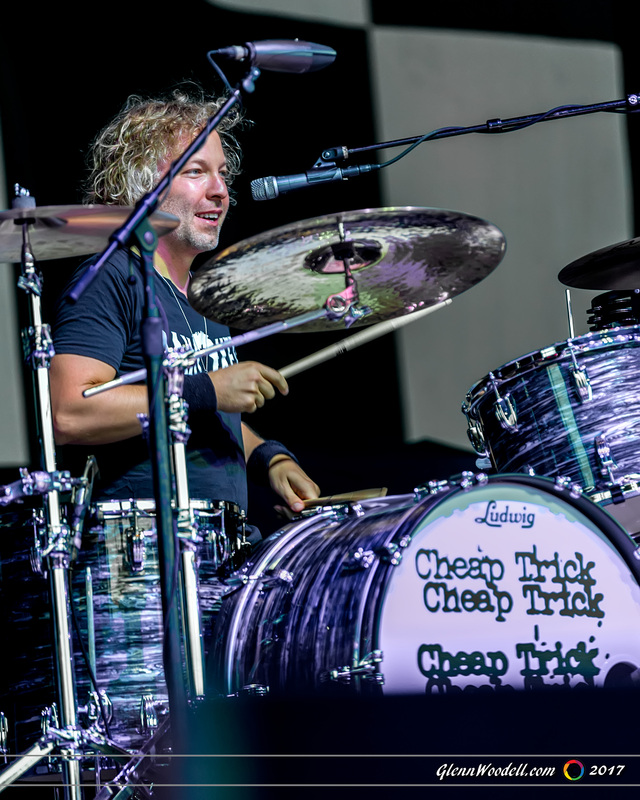 Opening tribute band Jason Bonham’s Led Zeppelin Experience, fronted by the late John Bonham’s son as drummer, kept the focus front and center on Bonham as he was up on a riser and he steadily engaged with the audience, making small talk and directing the show. 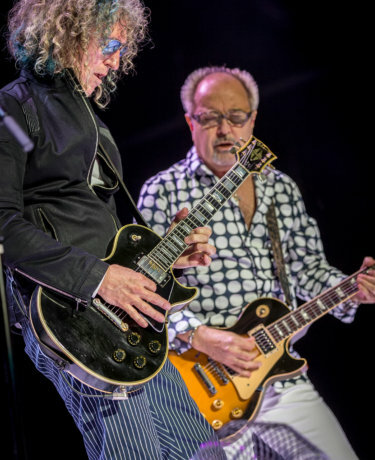 After a magnificent booming solo on “Whole Lotta Love” at the conclusion of their set, onlookers rose to their feet for a standing ovation. 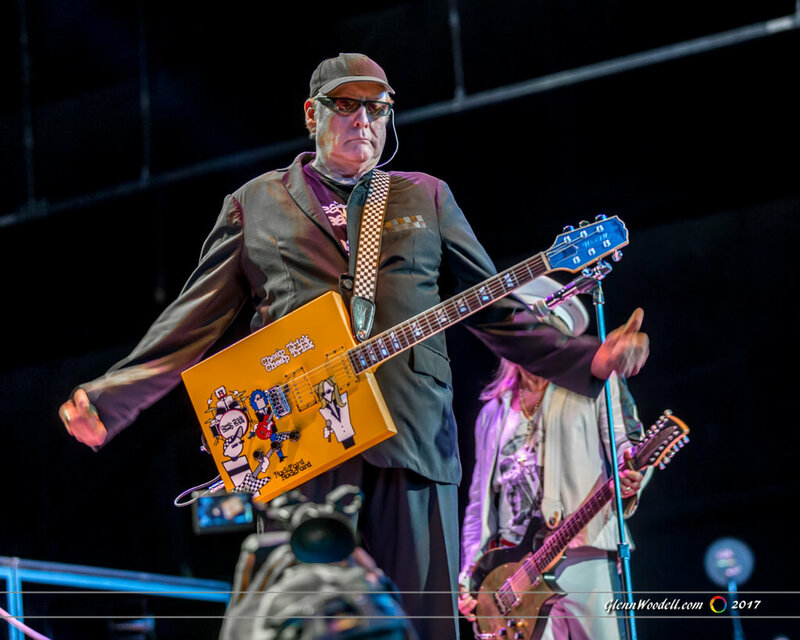 Drum roll: “Ladies and gentlemen, boys and girls, please welcome to the stage the best rock band you’ve ever seen, CHEAP TRICK!” With a stage set up completely decked out in the trademark black and white checkerboard pattern Cheap Trick is famous for, the audience rose back up on their feet immediately while all three frontmen, wearing sunglasses and hats, walked onto stage. 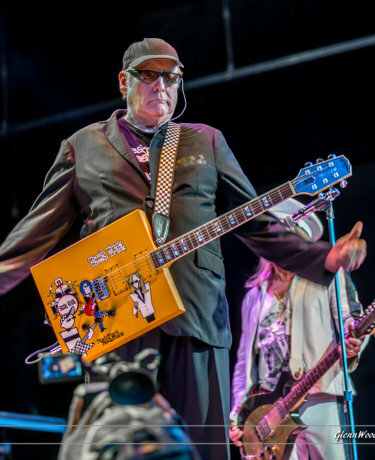 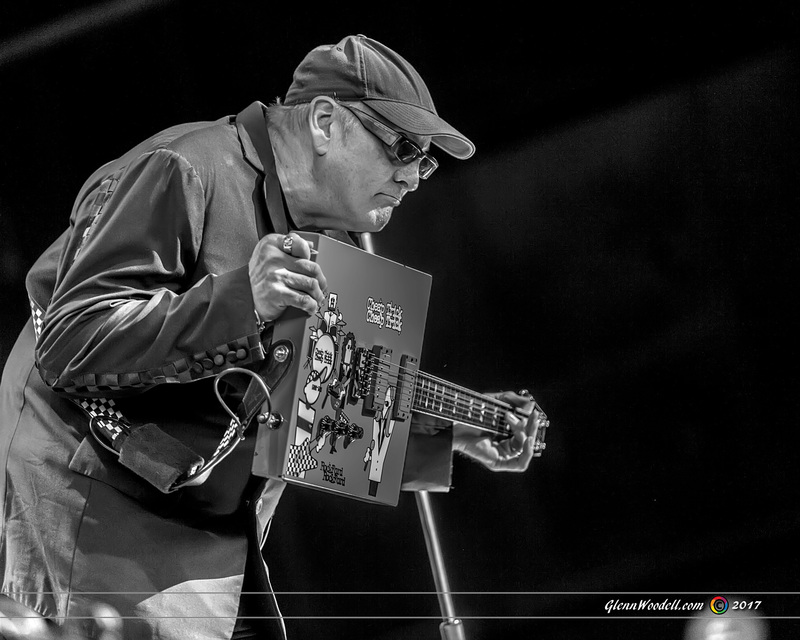 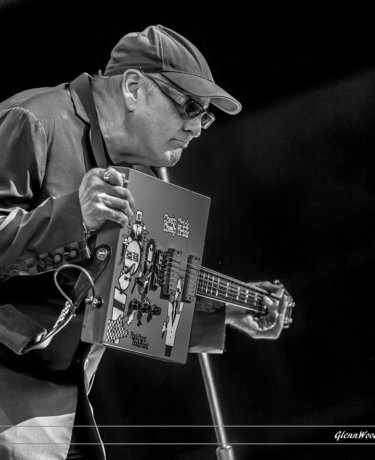 Rick Nielsen tossed out brightly colored guitar picks by the handful, like candy at a parade. 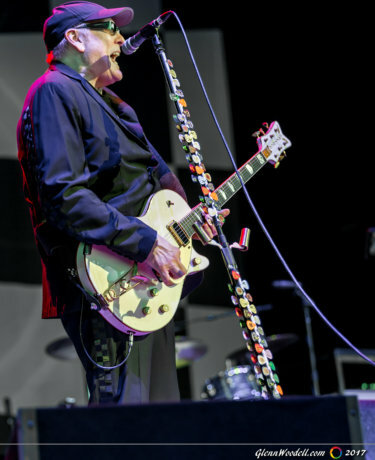 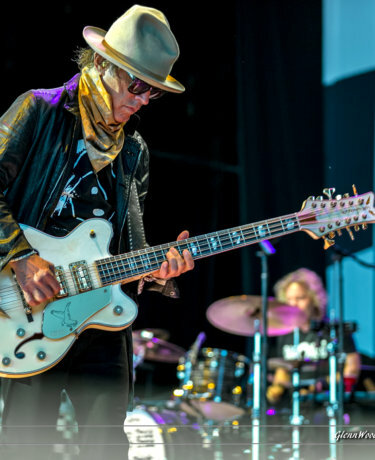 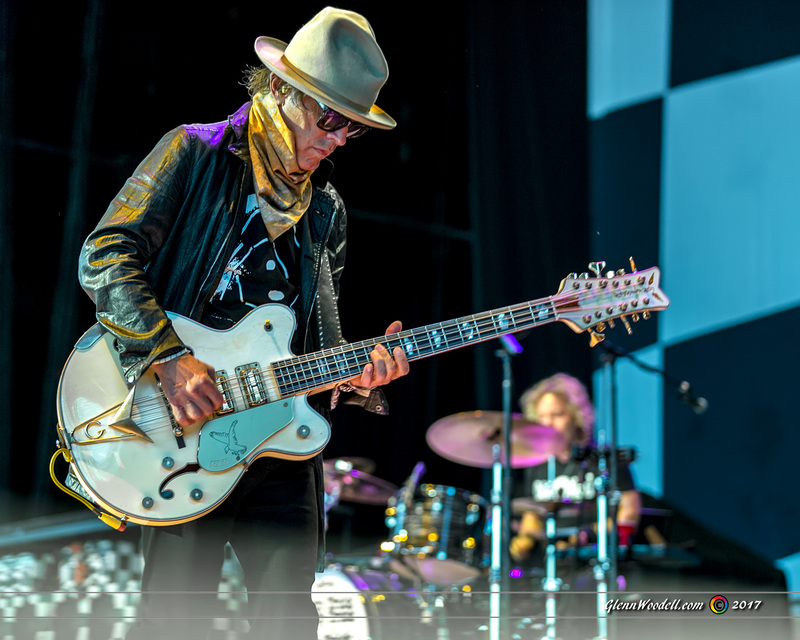 At the start of each new song from the setlist, Nielsen’s roadie handed him a new guitar from the vast collection, for its’ own turn at the spotlight. 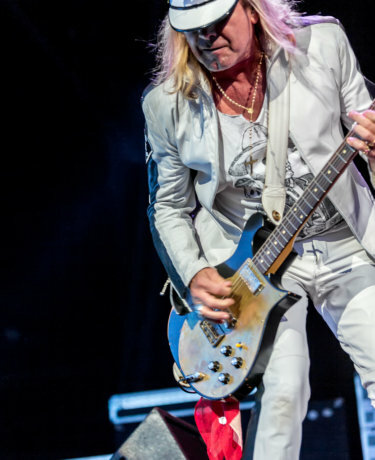 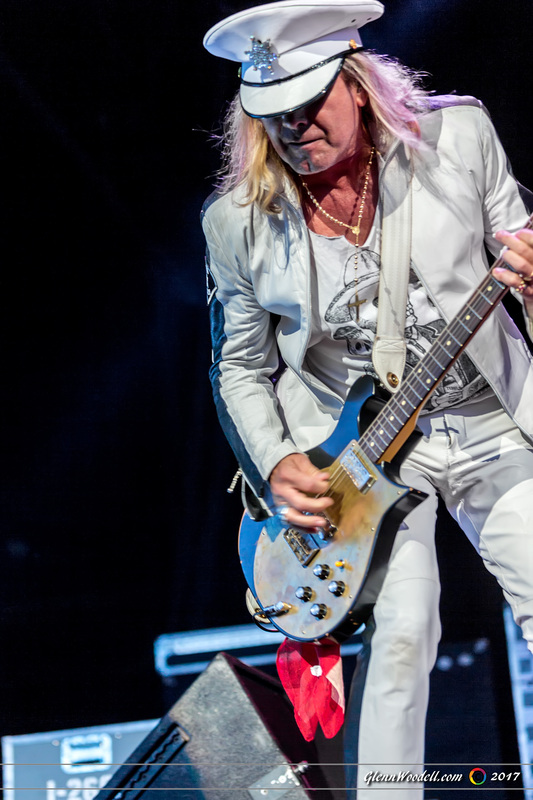 Robin Zander took a pause to introduce a song from their 18th studio album, “We’re All Alright”, cracking a joke that they have only released “450 live records” during their long spanning career. 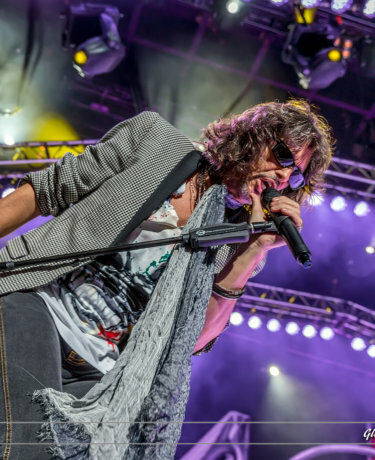 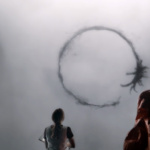 The new tracks were very well received by fans, in an era where the norm is only old favorites are accepted. 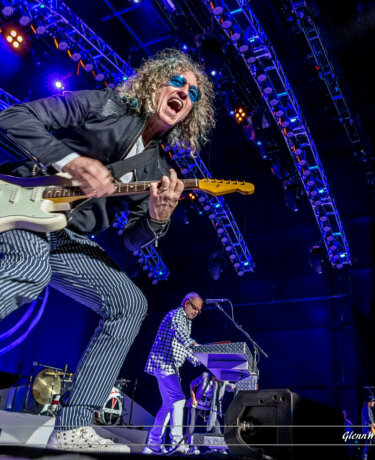 Continuing the joke, Zander pulled from the catalog a single from their first album, remarking that the song was “recorded before 95% of you were born, no, make that 97%.” “The Flame”, “I Want You to Want Me”, and a dramatic “Dream Police”, with Zander donning a glittering jacket over his shoulders and dropping to his knees onstage, draws the set to a close with “Surrender”and a kiss and wave goodbye. 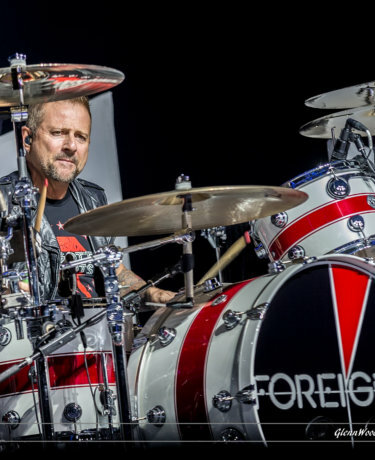 A massive black curtain is drawn across the front in preparation for Foreigner’s entrance, on a visually bold yet simple stage presentation with white risers, dramatic adjusting curved lights overhead and a banner that heralded this 40th anniversary tour of the classic supergroup. 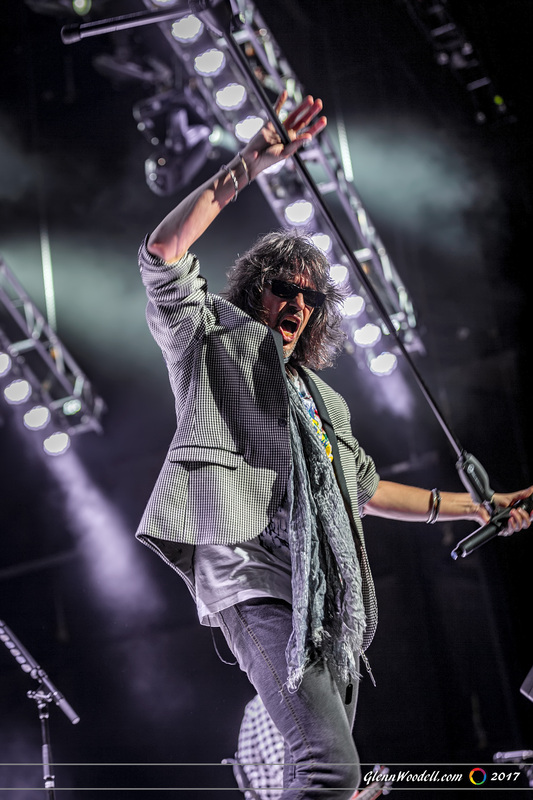 Kelly Hansen’s vocals are a spot-on match for original member Lou Gramm, and Hansen brought the energy all night long, rolling through a never ending string of hits.”Head Games”, “Cold as Ice”, “Waiting for a Girl Like You”, the group even involved the audience in song choice, giving three titles and judging from the loudest reaction which song would be next on the setlist, in Va Beach’s case the winner was “Blue Morning Blue Day”. 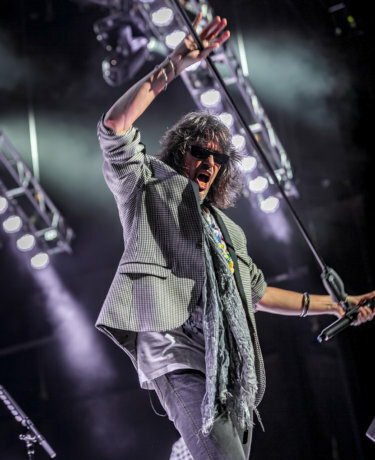 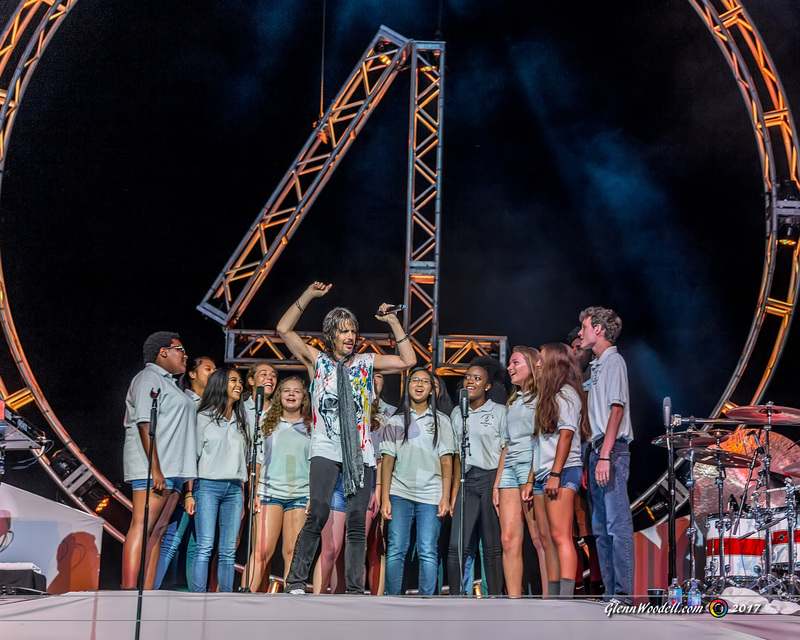 From the relentess stream of hits and the boundless energy of the band, with Hansen climbing into the midst of the crowd of the 20,000 capacity venue not once but twice, Foreigner put on a show to remember that heralded one of rock’s musical greats as deserving its’ place in our hearts and souls. 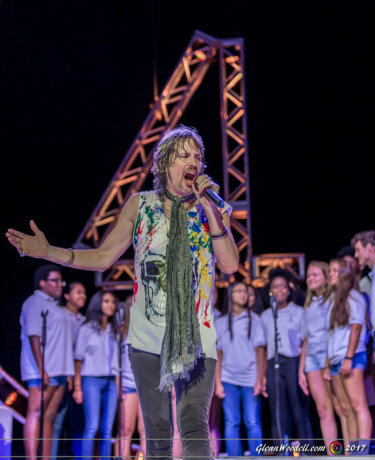 Concluding the evening with “I Want to Know What Love Is”, accompanied by a Va Beach high school choir, Foreigner prompts us to feel the love for one another, one song at a time.